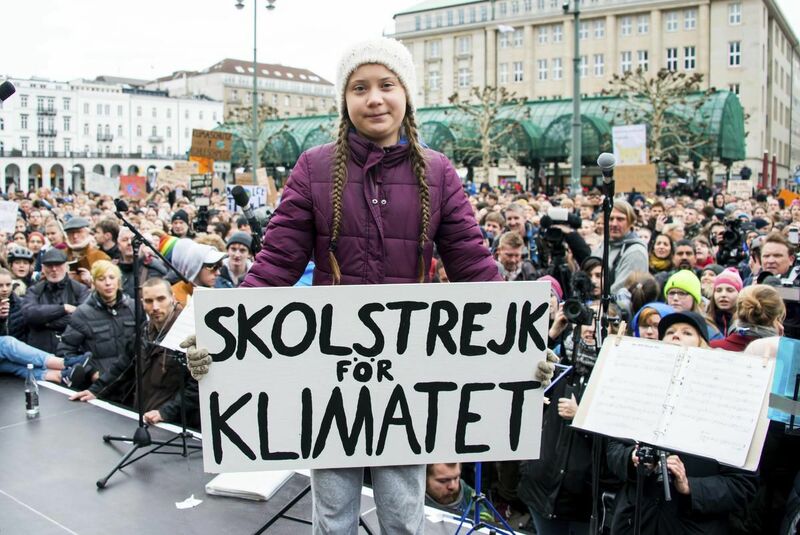 Since then Greta Thunberg has inspired tens of thousands of kids around the world to leave class and protest outside their own government buildings to highlight the looming climate change calamity with her Fridays for Future movement. She has also addressed world leaders at a United Nations Climate Change Conference in Poland and the World Economic Forum in Davos, delivered a TED talk — oh, and on Thursday, at age 16, she was nominated for the Nobel Peace Prize. If she can accomplish all that in mere months, then perhaps the world should listen to Thunberg. That is especially true today when students inspired by her doggedness are planning to skip school in 1,659 towns and cities in 105 countries in the world to demand action from their governments on climate change. Indeed. There is no time to waste. In October, the UN’s Intergovernmental Panel on Climate Change warned the world has only about a dozen years to take measures to keep global warming to a maximum of 1.5C to prevent a catastrophe of drought, floods, extreme heat and poverty for hundreds of millions of people, not to mention the extinction of species like coral and pollinating insects. Yet around the world people continue to elect climate change-deniers such as Donald Trump. Closer to home, Ontario voters turfed a Liberal government that had brought in a greener, coal-free electrical grid in favour of a PC one that axed its carbon-fighting cap-and-trade program. No wonder the kids are rebelling. That’s not new information. But perhaps it took hearing it from a 16-year-old to make it sink in. We can only hope so.